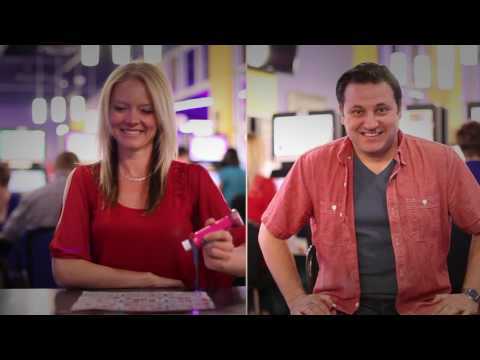 Why Play at Boardwalk Gaming Centres? Boardwalk Gaming Centres are the go-to place to meet new friends and make acquaintances. Make new connections with men and women with similar interests and add to your group of friends on our special event nights. Our veteran players seem to enjoy helping new players out. Great conversations start when the Jackpot prize package gets high. When you are looking for something to do in Val Caron or the whole Valley East community, our gaming centres can offer tonnes of fun and entertainment. Try your hand at paper bingo, electronic bingo, TapTix Gaming Machines, and our Play on Demand electronic games (P.O.D. Games) . You can enjoy alcoholic and non alcoholic beverages in our licensed facilities and catch a sports game on our large electronic screens in our private TapTix lounges. Check out our Sudbury and Val Caron Events Calendar for exciting new special events. Play for the chance to win! There are great cash prizes to be won at Boardwalk Gaming Centres. * Up to $35,000 in daily cash prizes. * Up to $250,000 in weekly bingo cash prizes. * Over 1 million dollars in bingo cash prizes monthly. * Over $10,000 in sponsored prizes throughout the year. * You could join our winners’ gallery. Come on in and give it a try! Boardwalk Gaming Centres value your privacy. We are committed to keeping your confidential and personal information protected. Boardwalk Gaming Centres adhere to strict privacy policies. Our transactions are quick and secure. Boardwalk Gaming takes Responsible Gambling seriously. Very seriously. We want to help you understand the games you’re playing. That’s why we have staff available to help manage your play. We’re committed to providing the information that helps you recognize the signs of risky habits, and make choices that are right for you. We want you to have a fun and exciting experience, and that includes knowing your limits, and knowing there’s help available to you should you wish it. Every time you play any of Boardwalk Gaming’s electronic gaming options you support local charities. Anytime you eat at our café or enjoy a beverage at our licensed facility, you are supporting over 153 local charities. Anytime you join us at one of our local special events, you are making a positive impact on a local charity working in our community. Every year Boardwalk Gaming directs over 1.5 million dollars to local charities. How can we make your experience ABSOLUTELY GREAT? We have some questions. FOR A CHANCE TO WIN BIG – Complete our quick survey.